Last night was kind of like the tribe decided to laid Abi down in the middle of the road, ran over with the bus and then backed up and do it over again. She just got destroyed. Abi's very unself-aware. It's hard not to feel a little sympathy for her when she's breaking down. So my heart goes out to her a little bit. Abi is a bit like having a girlfriend who just doesn't get the message and won't leave even after you have broken up with her. she's bitter. She hasn't forgiven you. You're not getting the benefits of having a girlfriend around anymore. It's the worst situation possible. I had to act all upset about it like "oh no, this is horrible, it's the worst thing in the world", but inside I just smiled because I couldn't ask for a more convenient excuse to get rid of the real threat in this game, which is Penner. It was, like, the worst day of my life. I am the most unliked person at this island right now. They're not gonna stop me now. I'm better than that. I'm gonna fight. I'm a fighter. I'm a survivor. There is no compassion towards me here. I have to have compassion towards myself. I think you need to do some talking. I need to do some listening. I was demoralized. I was pointed fingers at. I was ganged up on. I left there crying, genuinely crying. I have nothing to say. I just wanted to hear what you had to say. I'm sorry if I was a bit too honest with some of you. Everything that everyone is saying I'm taking with a grain of salt. This morning, I woke up, and I woke up very ambitious. I woke up with feeling that I am not gonna go without fighting. They were having a lot of problems with me being such an honest person, blunt person. They asked for this. Now it's time for me to lie. I'm gonna outplay them. 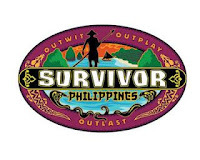 I will be creating a fantasy fourth immunity idol. I have some tricks under my sleeve and I'm gonna be pulling it off, and I would like to have someone with me, because I don't think I'm going home the next tribal. I know I can't use Probst as a tool at all, because he needs to keep the game fair but I'm gonna need to still carry on with my fake idol. She can't win this. She can't climb. But watch how good her knee is. Tribal council day is a zoo. My dilemma is I'm going to make three people very happy tonight, and I'm going to upset three people. I'm gonna potentially gain three jury votes and lose three jury votes at the same time. The closer it gets to the final three, the more I realize it's a pretty big deal. I believe strongly that I could beat Penner in the final three. I can't look at any one of these people and say I would not like to be great friends after the game is over but I'd like to win too. I'm sorry, but it is really hard not to laugh at some of the things she says. There's a saying in the bible that says, "don't throw your pearls before swine." I'm not calling Abi a pig, but at some point if someone is not gonna value your words, then you don't keep giving them to that person. I'm just not cut out under this game. It's too big for me. I love this game, and I want to be a good player. Whatever I do is gonna hurt people that I care about.